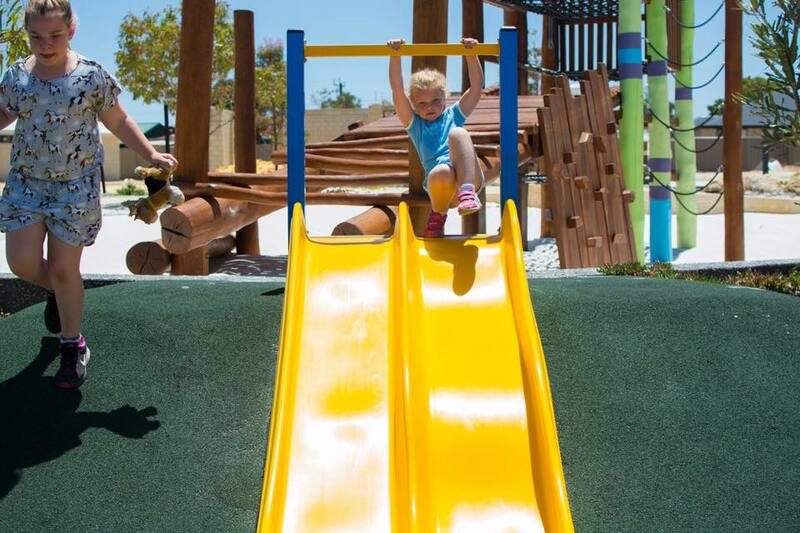 We love this little park. 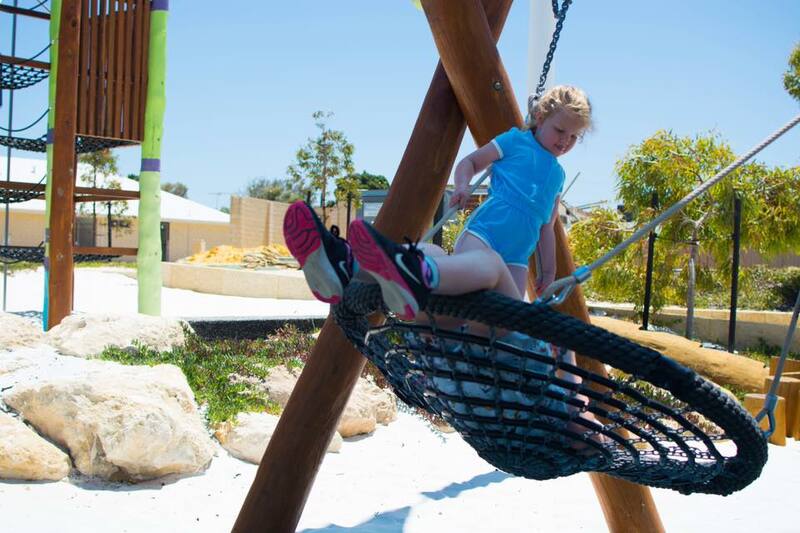 Situated in the new Vertex Estate in Yanchep lies a small but great park for young ones. 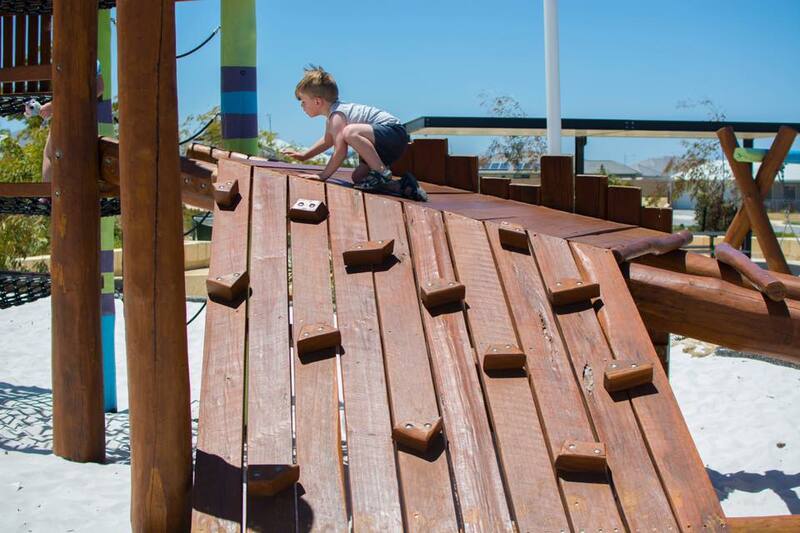 There is a large wooden climbing frame featuring different options to get to the top including a rock wall, wooden steps, ropes and more. 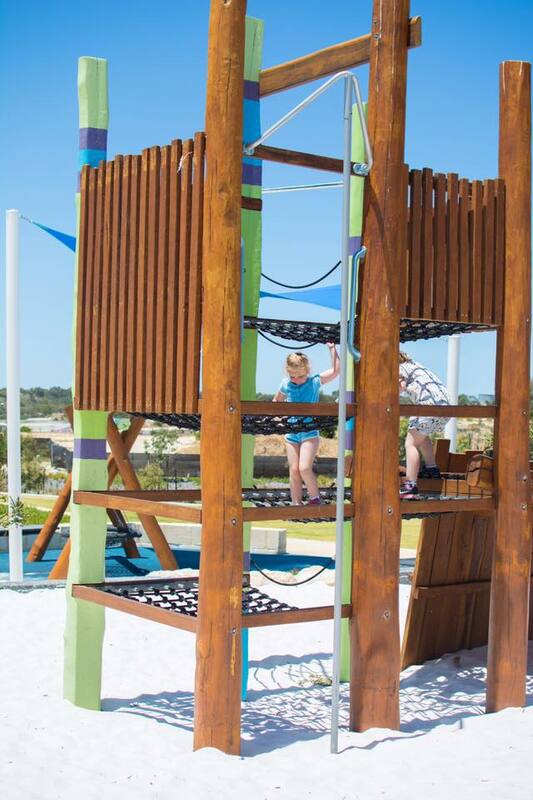 There is a fireman’s pole at the top and the kids had a ball climbing the structure. 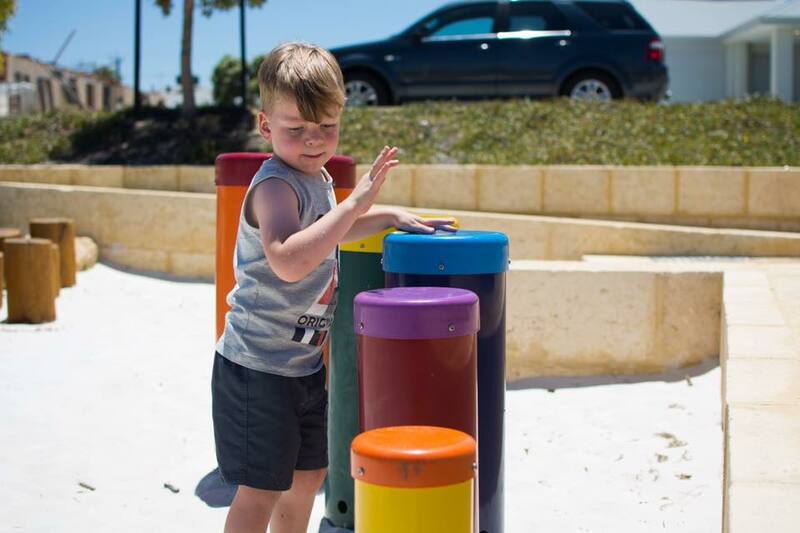 It is a sand based park so Mr 3 loved sitting in the shade under the structure digging. 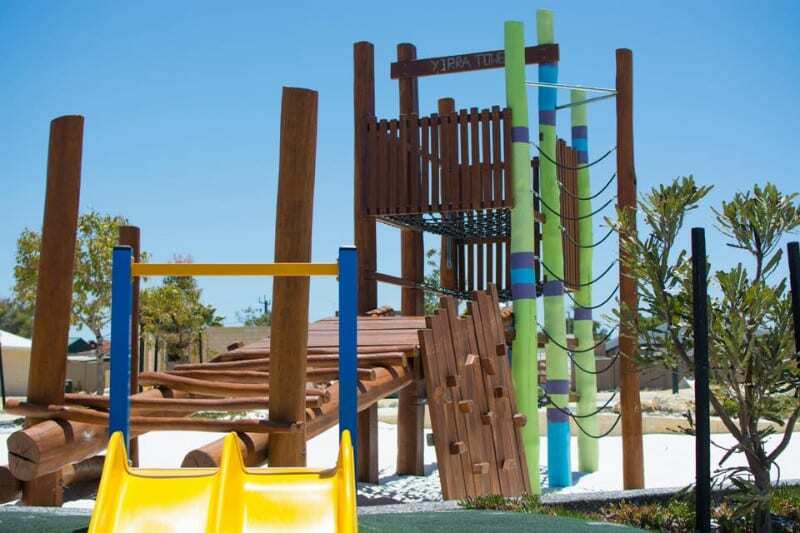 There is also a double slide, a nest swing, wooden stepping logs, and even drums! There is 2 undercover benches and tables plus other benches around the perimeter. There’s a large grass area perfect for a picnic but sadly no toilets or BBQs. 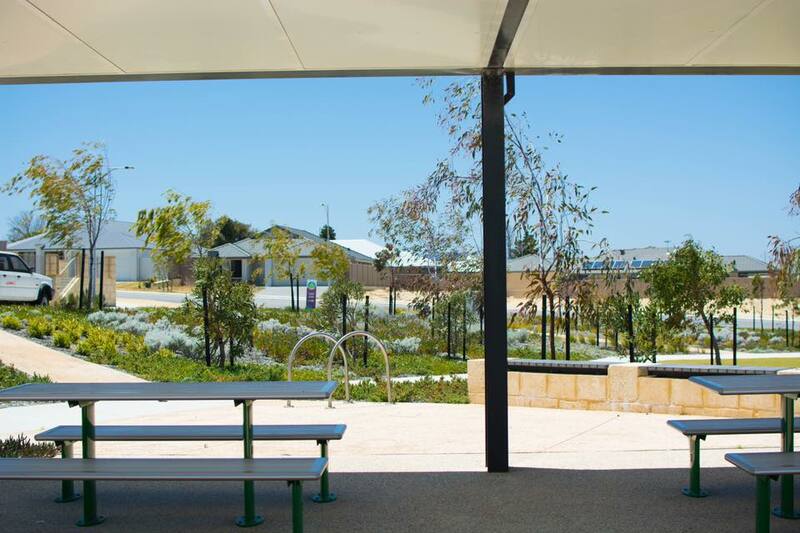 Situated on Ariane View, Yanchep.